We mourn the loss of Leonard Nimoy, who created one of the most iconic characters of all time, “Star Trek’s” half-Vulcan, half-human Mr. Spock, with pointed ears and angled eyebrows perfectly designed to convey a wry sense of irony. The storylines of the original “Star Trek” were provocative political and cultural allegories, but the heart of the show was the reflection of the internal struggle we all try to reconcile: fire and ice, Athenian and Spartan, id and superego — between the passionate, impetuous Captain Kirk (William Shatner) and the cerebral, deliberate Mr. Spock. Spock was the ultimate outsider — a trait Mr. Nimoy said he understood. He was Jewish and had grown up in an Irish section of Boston. Going to movies as a child during the Depression, he was drawn to actors who specialized in bringing pathos to the grotesque — especially Boris Karloff in “Frankenstein” (1931) and Charles Laughton in “The Hunchback of Notre Dame” (1939). By most accounts, Mr. Nimoy portrayed the most popular character of the “Star Trek” cast. While some critics thought that Mr. Nimoy’s acting was dour or wooden, fans might have argued that these were precisely the characteristics of the emotion-suppressing, logic-obsessed Spock. Nimoy was a fine actor, and he gave a dry wit to Mr. Spock. The character was fascinating because of his emotionless, stoic, purely rational approach. Once in a while, his human side showed through. And although most of the time he seemed to conclude (rationally) that the Vulcan approach was superior, he occasionally seemed to envy his human colleagues’ capacity for emotion. And certainly, he showed himself capable of friendship with Captain Kirk. I loved his father’s explanation of why he married a human: “It seemed the logical thing to do at the time.” Spock also had the enviable ability of telepathy and could immobilize a humanoid enemy with a neck nerve-pinch. He spoke to Pharrell Williams about his life and career and developing the character of Spock. The devotion of “Star Trek’s” fans is legendary, and the subject of documentaries including Trekkies and its sequel, and no character had more fans than Mr. Spock. A particularly fitting tribute was in an episode of “The Big Bang Theory,” where the hyper-rational Sheldon Cooper (Jim Parsons) has the most emotional reaction in the history of the series because he receives a special gift, a napkin that had been used by Leonard Nimoy. In another episode, Nimoy provided the voice for Cooper’s Mr. Spock action figure. Nimoy was the son of Jewish immigrants from what is now Ukraine. It was his idea to use the traditional rabbinic blessing gesture, with the fingers spread apart in a V shape as the Vulcan greeting. He left us with a beautiful final message via Twitter. Nimoy gave us many perfect moments. As long as there are devices to view content, new generations of fans will love and be inspired by Mr. Spock. May his memory be a blessing. 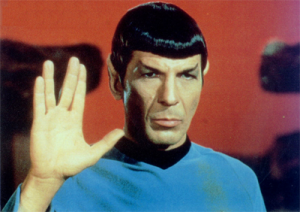 EPIX will pay tribute to Nimoy this weekend. Leonard Nimoy shares insights and personal anecdotes from his nearly 50-year involvement with the phenomenon that is Star Trek. Actress Daniele Watts stars as missing teenager Crystal Gladwell in Muted, winner of the 18th annual American Black Film Festival short film competition, showing on HBO throughout March 2015. 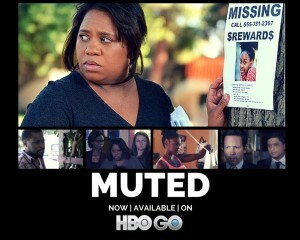 Muted follows Lena Gladwell, played by Chandra Wilson (Grey’s Anatomy), a mother whose world is shattered when her teenage daughter Crystal disappears. Lena attempts to enlist the help of the press and the police. 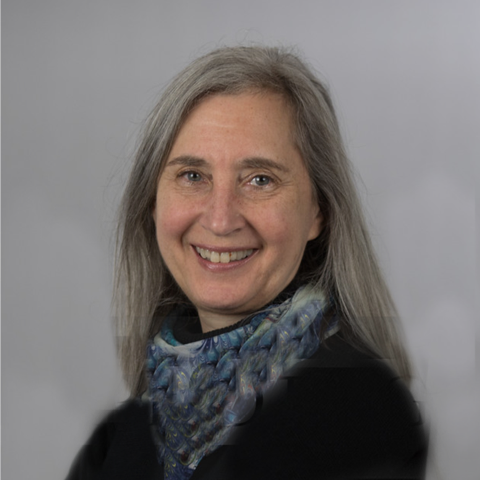 Expecting the full support of law enforcement and local media, Lena quickly learns the painful and tragic lesson that all missing persons are not created equal. Muted was written by Brandi Ford, produced by Tara Tomicevic and directed by Rachel Goldberg. Between all of his video co-stars, they have raised 500 children, 1,200 grandchildren and 250 great-grandchildren. We’re not going to give the whole thing away but the video just might feature a 92-years-young woman doing a split.